From the October 16, 2010 Times Herald regarding the last year of football at our Roosevelt Field. NORRISTOWN — The Roosevelt Field closing ceremony on Sept. 30 will include a high school football game, a parade of two marching bands from Eisenhower Middle School, a Senior Night celebration and a dance party after the football game. The Norristown Area School District (NASD) is planning all these events because Roosevelt Field will be retired after Sept. 30 and replaced by the artificial turf football field at Norristown Area High School in West Norriton. Construction began in late summer and is expected to be completed in time for a late October football game. The marching band from Bowie State University and the Norristown Area High School marching band will lead a “mini-parade” from Eisenhower Middle School to the stadium on Markley Street starting at 5:45 p.m., Friday, said NASB President Denise Ashe. The two bands will march up into the stands and perform songs before the 7 p.m. kickoff between Wissahickon High School and NAHS. Sports personality Don Tolefson and Geoff Brandon, a graduate of Norristown Area High School, will share the announcing duties at the game. Senior Night will be celebrated before the game begins. At halftime, the history of Roosevelt Field will be described to the crowd, Ashe said. A game ball will be raffled off at halftime. Twenty information tables from community organizations will be allowed at the event. 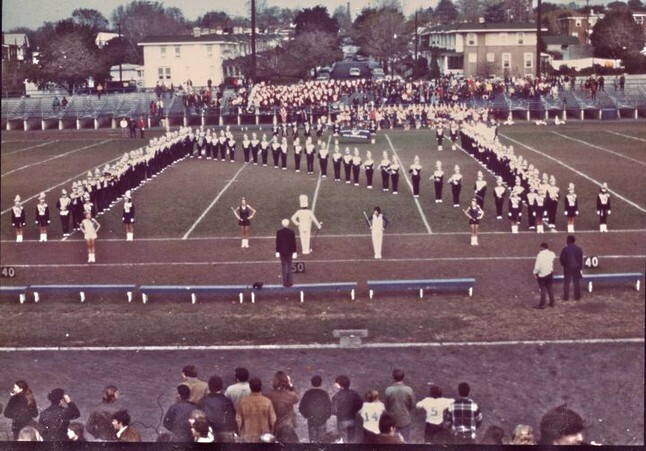 A Roosevelt Stadium yearbook with photos from previous football games at the football field will be sold to benefit the construction of the new football field. The NAHS classes that played on the field will be recognized after the game is completed. An after-dance party with a DJ will be held from 9:30 p.m. to 10:30 p.m.